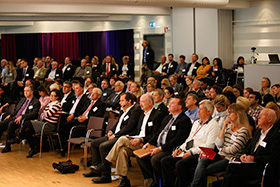 An all day conference for those interested in technology startups, held in Uppsala Castle. Uppstart is an information format with great world class speakers, startup pitching competitions, and of course an epic after party. Free tickets are found at uppstart.com.